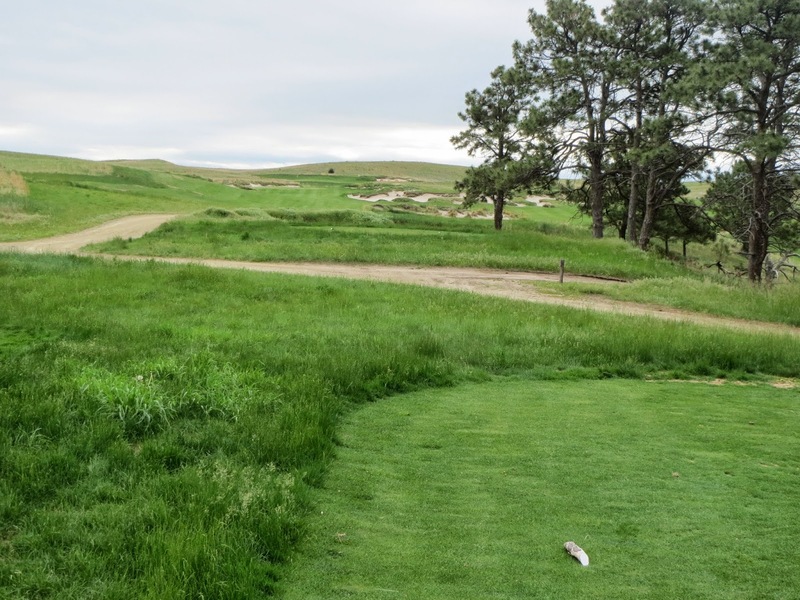 Last week, I had the opportunity to attend a fan trip to The Prairie Club in Valentine, Nebraska. 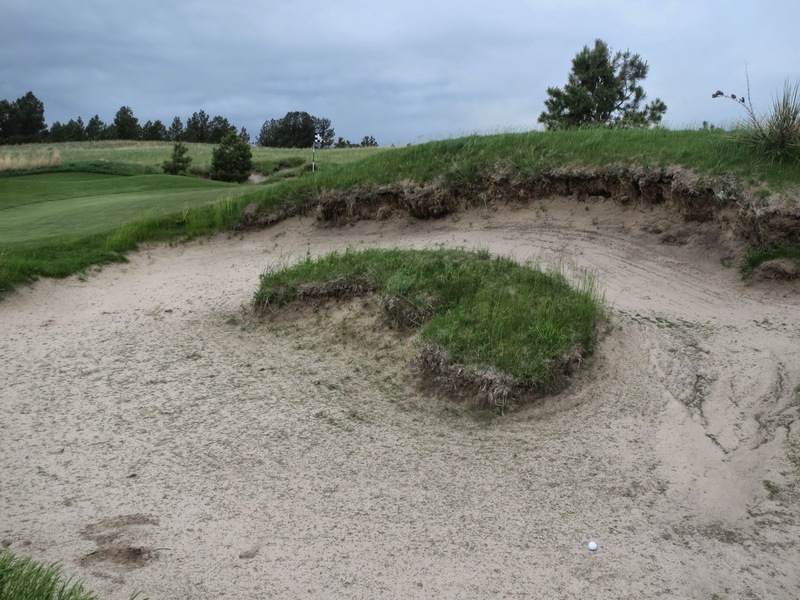 While I remembered seeing The Prairie Club’s two courses in the top five of GolfWeek’s best in-state rankings (Dunes #2, Pines #4), the only golf-related images in my mind of Nebraska were of the pictures I’d seen online of Sand Hills, the country’s number one overall rated course in nearby Mullen. The perceptions of Nebraska in my mind were probably similar to the images of it in many of your minds: Endless farmlands and wide open spaces. 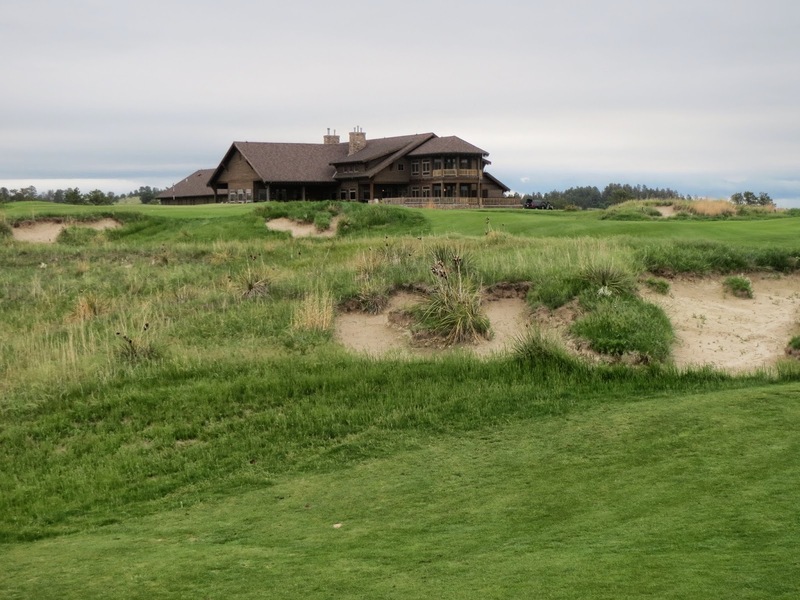 The Prairie Club proved to be the golf trip of all golf trips for us: Fabulous golfing, outstanding food/drinks and service, and very nice lodging in one of the resort’s new cabins. The food and service was world-class. Fresh, meaty bacon and breakfast sausages accompanied the typical continental breakfast staples, and my lunches consisted of Nebraska-raised burgers, pulled pork sandwiches and a French dip. And my dinners… My mouth started salivating again just remembering them… Locally raised prime rib, New York strips, rib eyes and fish. Surprisingly to me, my favorite appetizer of the trip was the local, fresh fried murels, which barely edged out the bull bites. 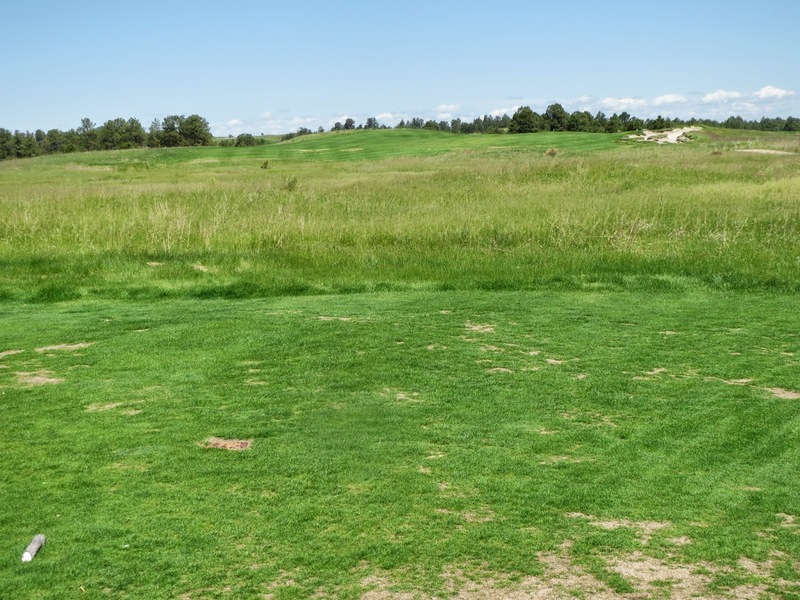 The owner of The Prairie Club, avid outdoorsman, golfer and businessman, Paul Schock, initially purchased the resort’s land for its hunting and fishing resources. 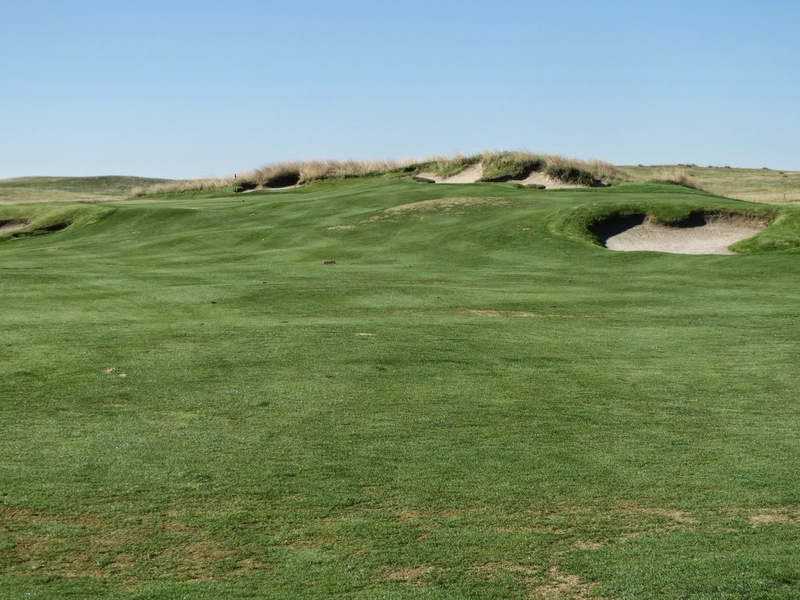 One of the area’s renowned amateur golfers, Paul enlisted the help of Tom Lehman (course designer of the Dunes) and Graham Marsh (course designer of the Pines) to design and bring to fruition Nebraska and the Sand Hills area’s premiere golfing destination. 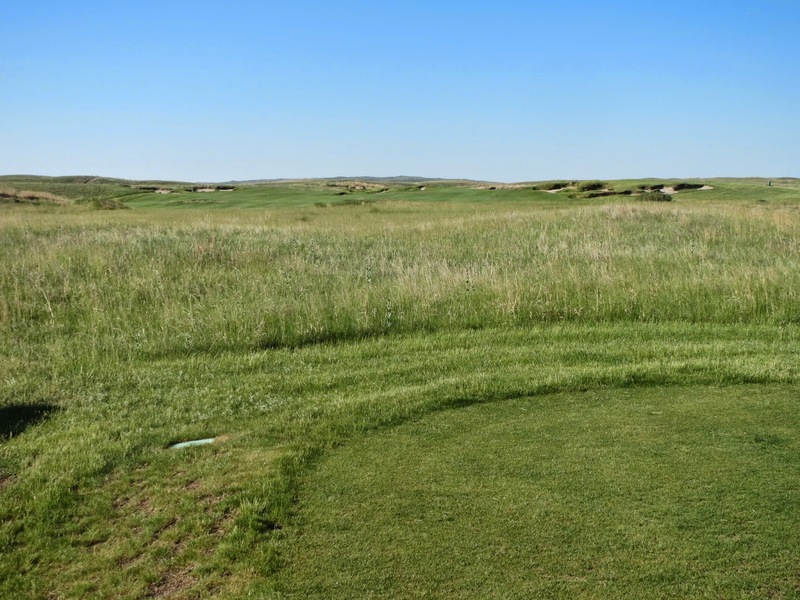 A minimalist golfer’s dream, the Prairie Club is isolated from anything like urban America. While it is located in Valentine, it is a solid 20-minute drive from the town. The only realistic lodging and meal options are found on site, and the quality of the club’s offerings leave no reason for visitors to leave the premises. The club features a beautiful new lodge with hotel rooms, restaurants and bars. Each cabin features a common space that would be perfect for card games, four suites with bedrooms and personal bathrooms, and a back patio that purveys the Snake River Canyon and looks up to a big country sky filled with more stars than I had ever seen. 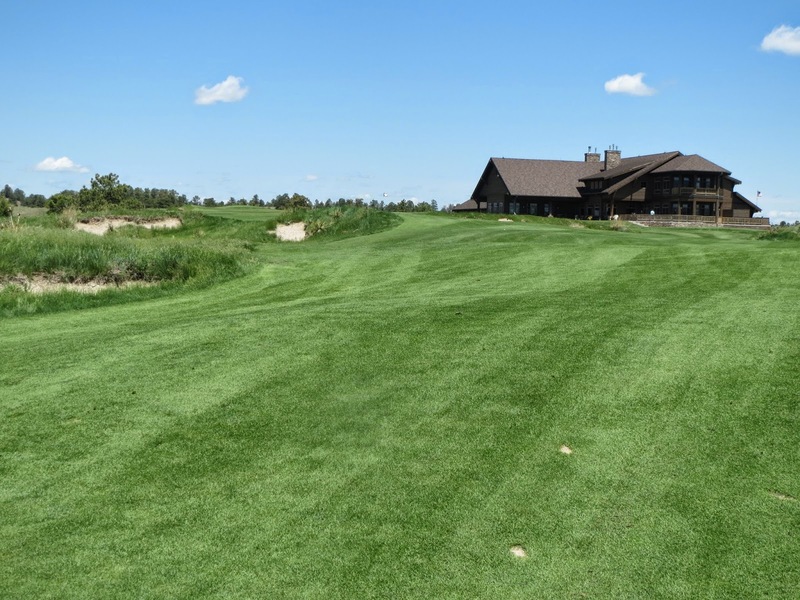 One thing is for sure: The Prairie Club puts the getaway in golf getaway. Brian Weis, owner/operator of GolfTrips.com, GolfWisconsin, GolfNebraska and about 40 other golf-related websites, and I left Milwaukee at 5 am last Sunday morning, dividing up our trip with a stop at The Harvester in Rhodes, Iowa, the state’s number one and country’s 82nd overall rated track. Following 18 holes, and hundreds of miles of driving, we arrived at The Prairie Club in time for a meal and a couple of the club’s most popular drink special: The Moscow Mule. Served in the traditional copper mugs, bar manager Birk also offers an apple version, which was refreshing on a warm afternoon between rounds. 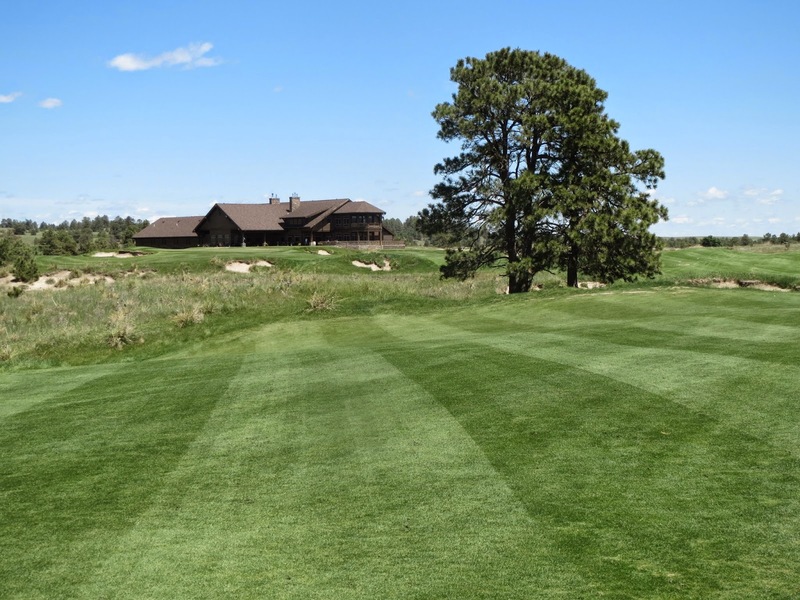 We made our way to the cabin, where we were joined by one of the country’s top golf course photographers, Brian Orr, and Darin Bunch of Fairways and Greens and Golf Getaways. 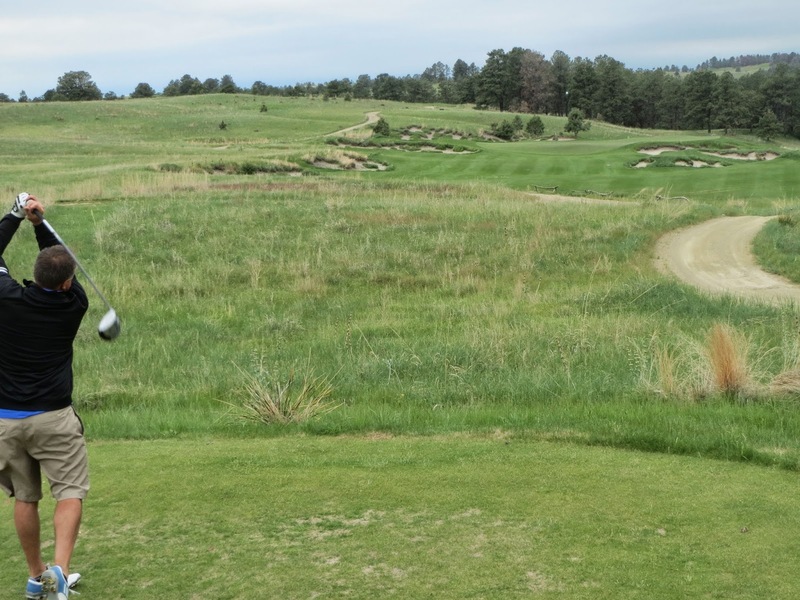 Brian and Darin were a lot of fun to play with – they are true throw-backs in the game of golf, playing hickory stick clubs from the green tees (~ 6000 yards)… And pretty well! 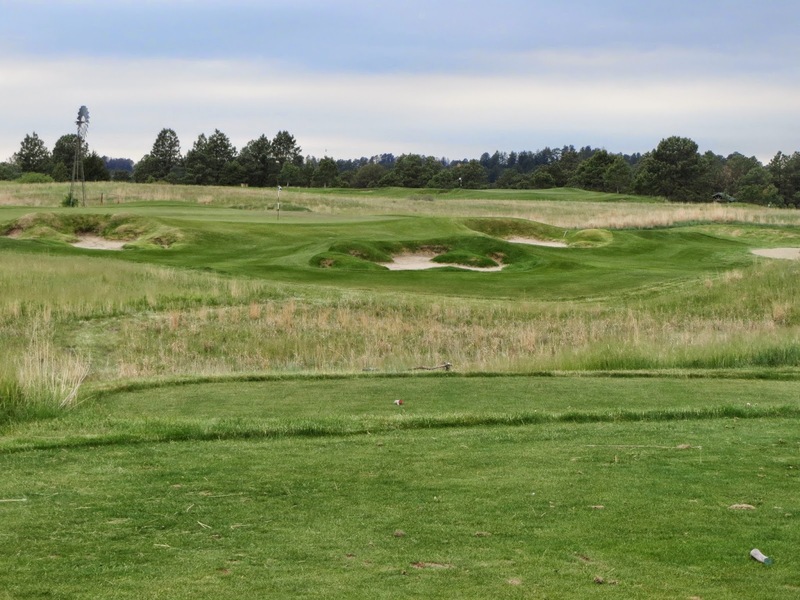 All great golf destinations need to have courses that are different enough that players do not feel like they are playing the same place over and over. 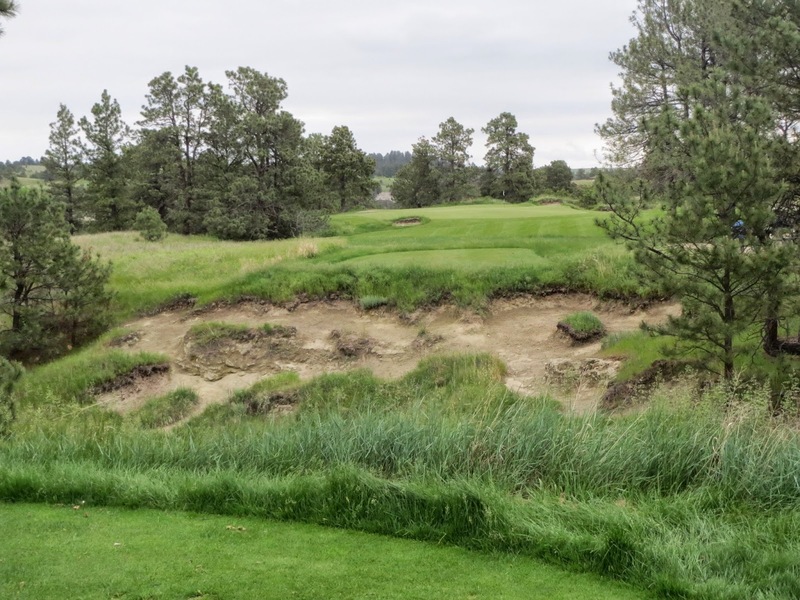 The Prairie Club does that very well, with it’s Pines and Dunes tracks. Our first round in Nebraska was on Monday morning on the Pines course. 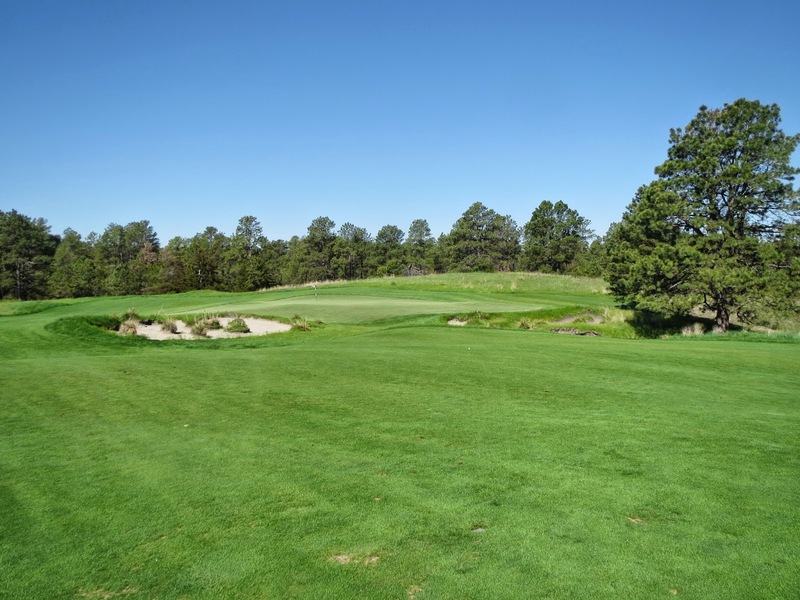 The Pines, tipped out at 7403 yards, is a softer, slightly more picturesque version of sand hills golf, with several holes playing linksy similar to on the Dunes course, but primarily on the outskirts of the property amid Ponderosa pines and beautiful canyons. 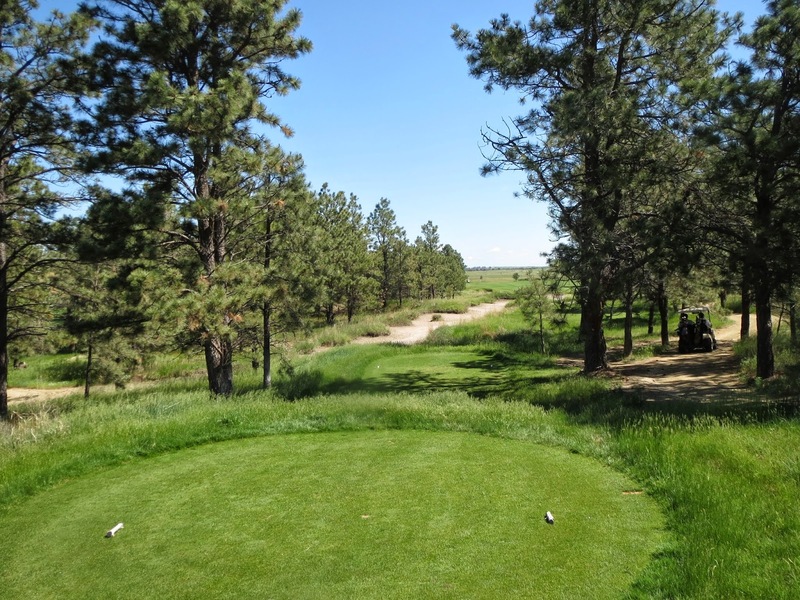 The drives to both courses take at least five minutes from the lodge, promoting a feeling of escapism and that lovely disorientation that coincides with losing oneself on a great golf course. 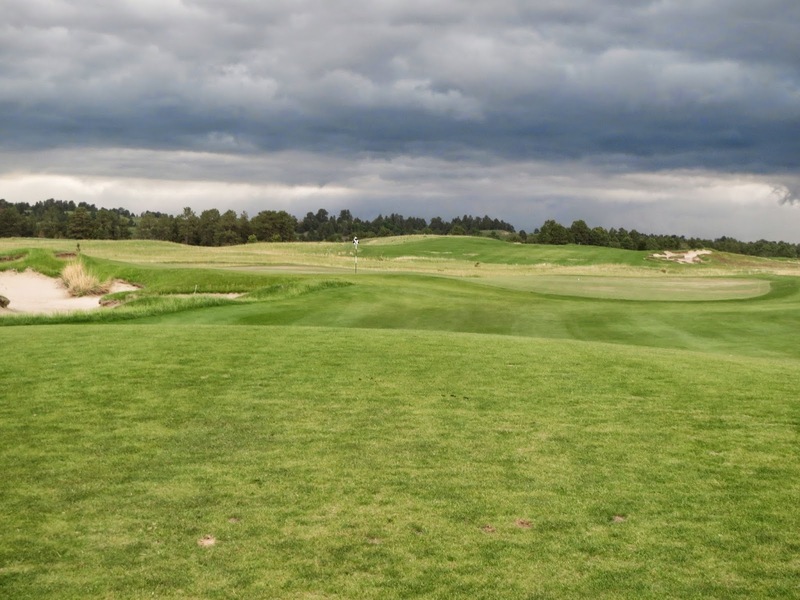 The first three holes on the Pines course have a links-like feel, and are great warm-up holes to start dialing in the driver for what is to come. Drive down the middle to left side of the fairway on one and take aim at a wide-open green. 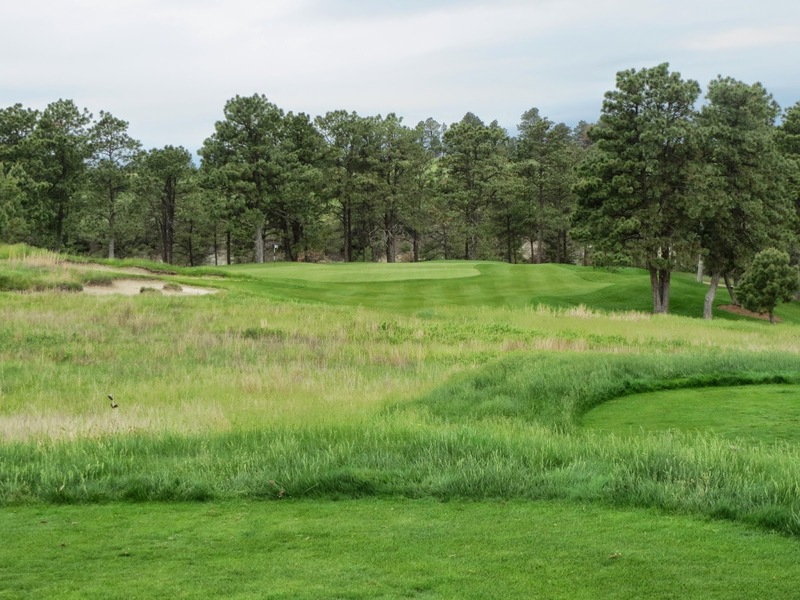 The first par five on the course, the driving area on the second hole can be taken on to the left or right of the centrally located fairway bunkers. A back-stop on the right side of the green can be used to filter approaches toward middle and back pin locations. 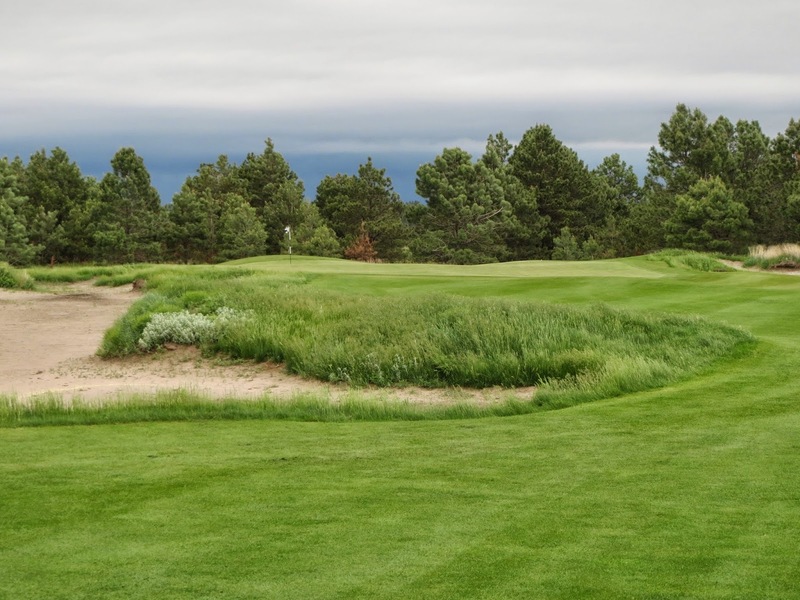 With an elevated green, a ridge dividing it, and sand traps all around, the third is a fairly straight forward par three for The Prairie Club. 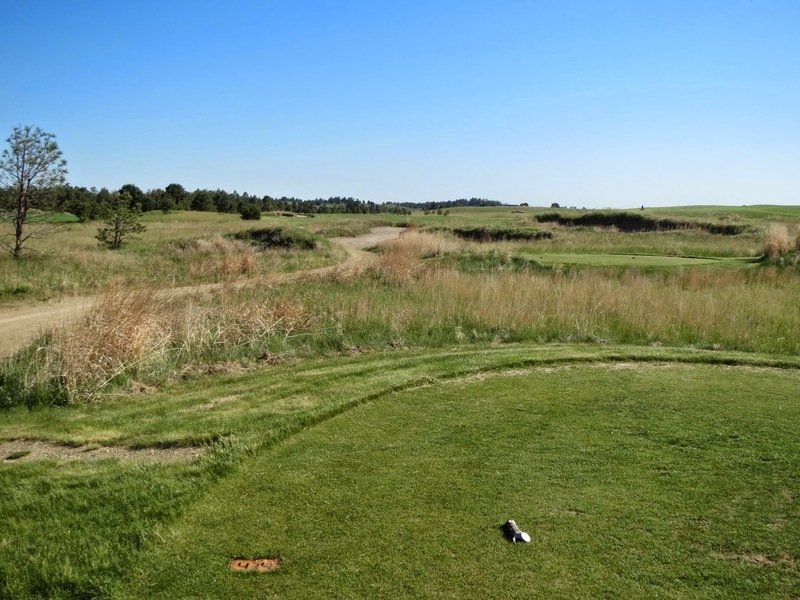 A long par four, the fourth ushers golfers out of the Pines course’s first links segment and toward the first Snake River Canyon portion of The Prairie Club. 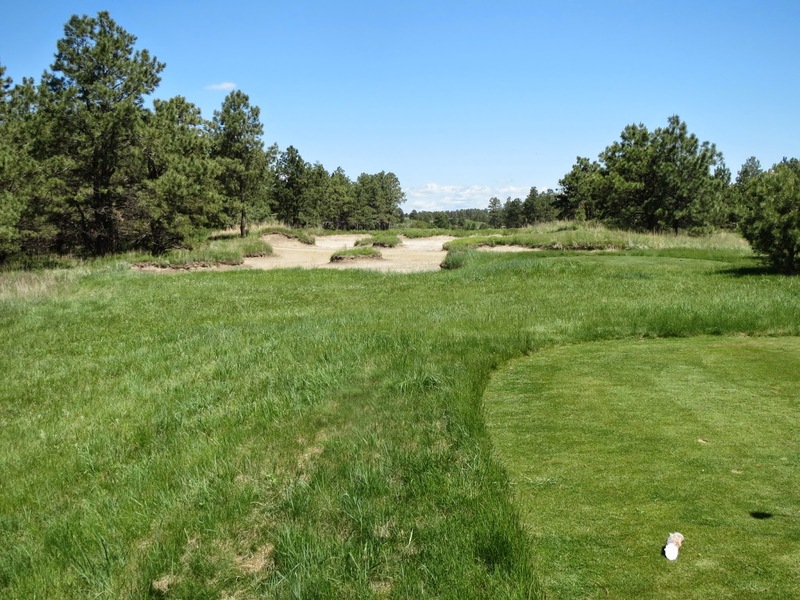 Part of what makes the Pines course so playable is the mix of woodland and links golf that it provides. The woodlands portion of it emerges on the fifth, with a somewhat blind tee shot that has to carry sand and is best driven with a hard fade on this dogleg right par four. An excellent par three, the sixth plays to a raised green with a false front and huge ridges that make hitting the right level of the putting surface essential if hoping for a realistic chance at birdie. One of my favorite holes at The Prairie Club, the seventh is a long par five with a lot of character. 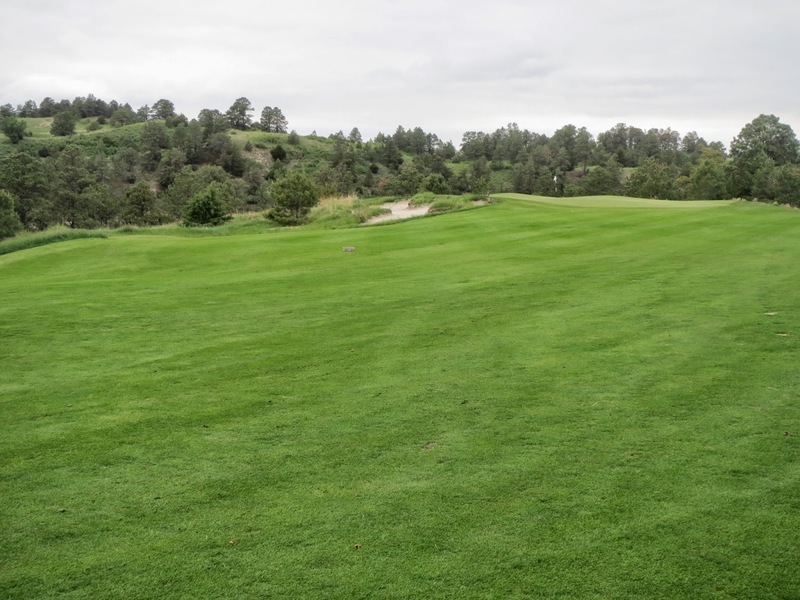 The drive can either be drawn long, or else played short to stay within the tree lines. Hit an accurate second shot to set up a reasonable approach downhill and over the right-side tree line. Heading out of the trees again, the eighth can be missed right to the shared fairway between it and the adjoining ninth. 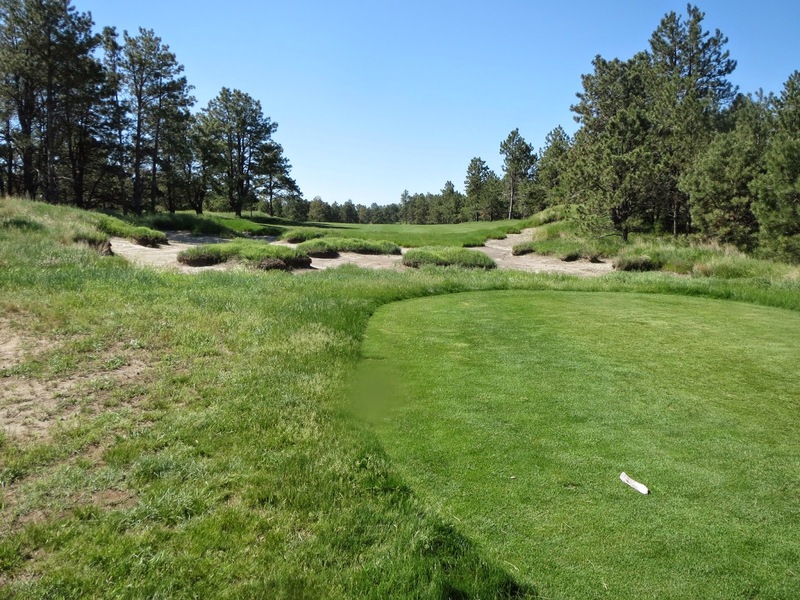 I love a great drivable par four, and the ninth on the Pines course is an outstanding one! 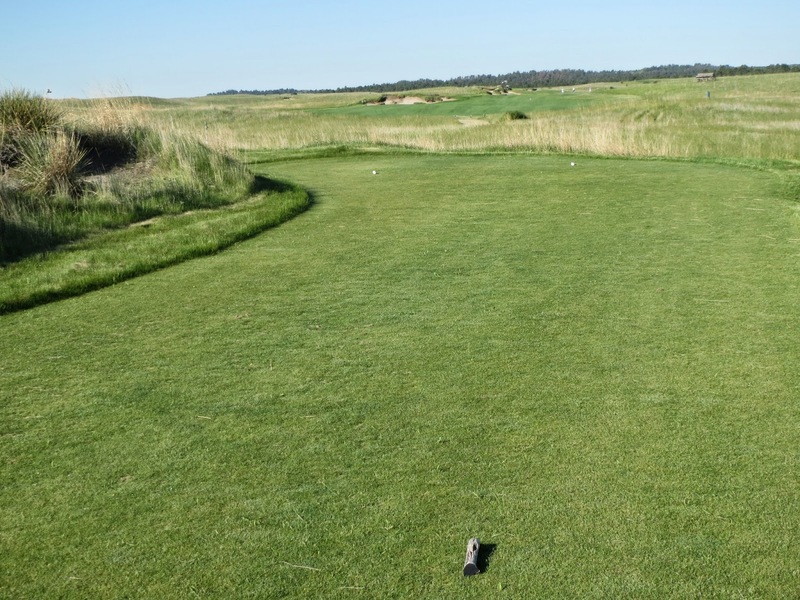 At 300 yards from the white tees, it is next to impossible for big hitters to refrain from going for it. 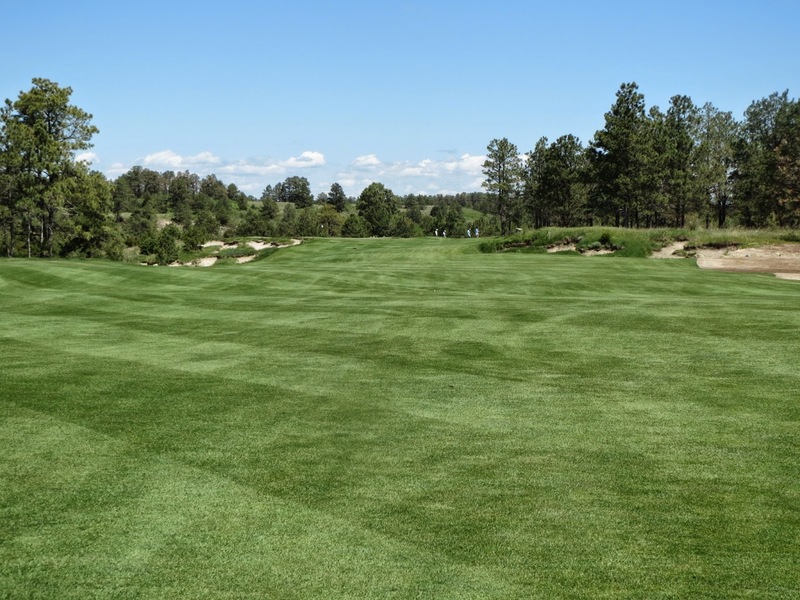 The green of the ninth hole features the biggest false front on the course, and is one of the shortest greens from front to back. One of the many sand traps that protect the already-difficult green complex on the ninth. Can you believe I actually parred from here? 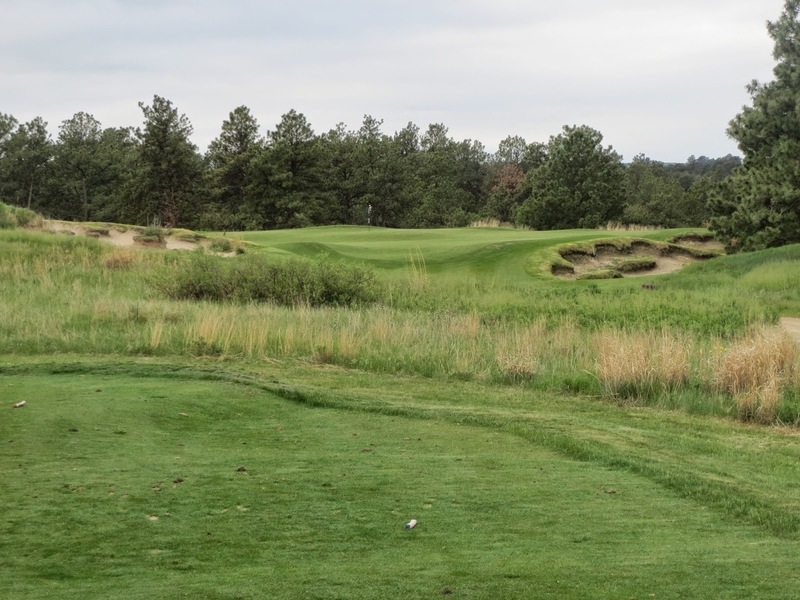 Somewhat of a typical par for me, actually: Drive to the green-side bunker, left the second shot in the bunker, hit the back-left of the green, rolled in a 40-footer… This game’s easy! The green on the par three tenth is quite intimidating. It’s obvious from the tee boxes that it breaks hard toward the middle from the left to the right, so a left-side pin location looked pretty daunting. The four of us were all within 20 feet off the tee, though, and I was the only one to birdie it. Don’t get excited – that was the end of my hot putting for the trip. Eleven is a long, tight par five. Keep everything down the middle on this hole, and the second shot somewhat left to keep a good angle at the green. 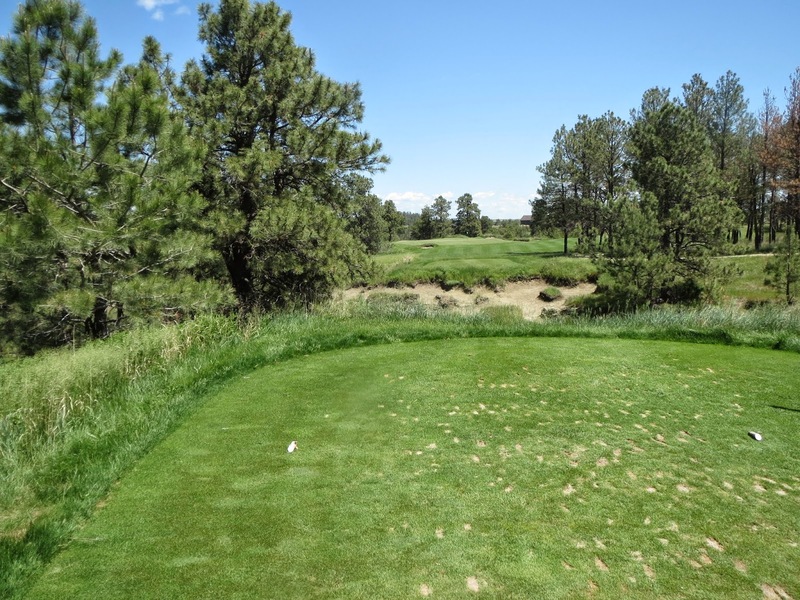 An intimidating driving hole, the twelfth is best played with a long draw from the white or green tees, or long fade from the tips, to keep tee shots in the short grass. 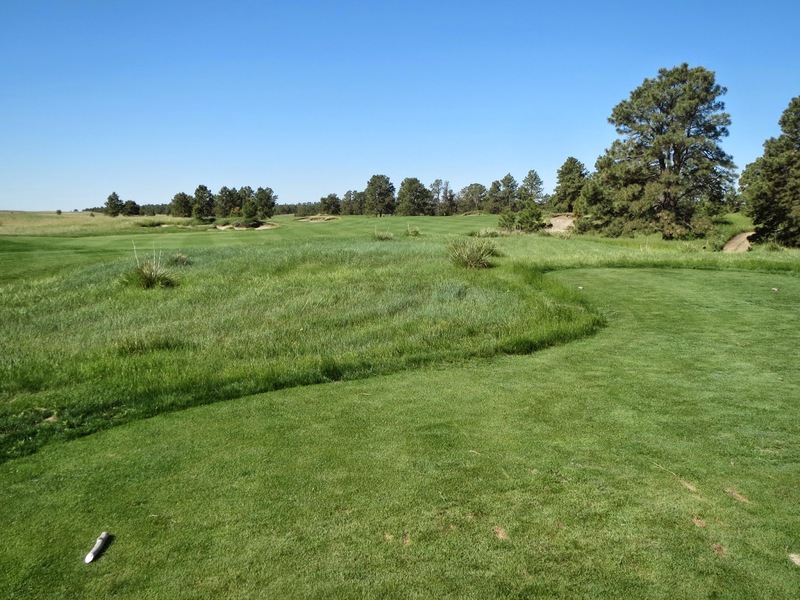 The hole bends slightly leftward, to a raised green that falls off in all directions to short chipping areas. 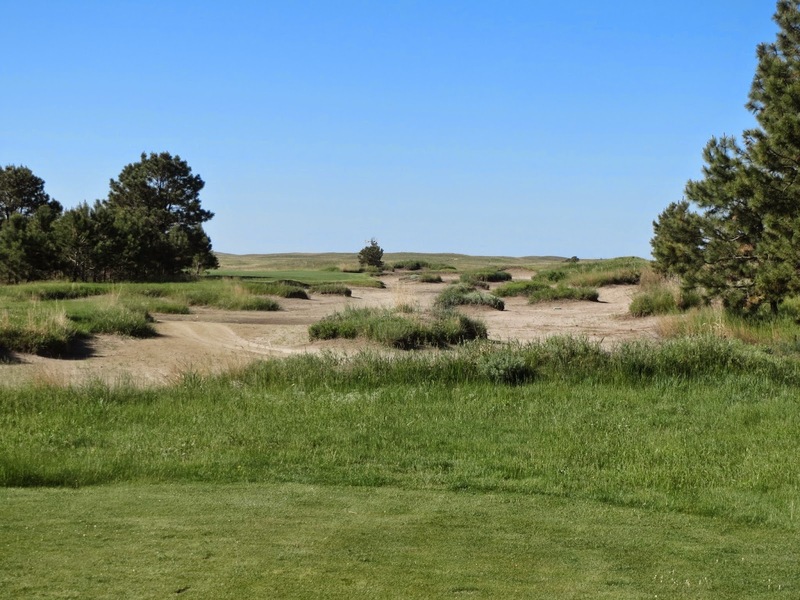 Thirteen heads back to the sand hills, with a sharply uphill par four with deep, craggy bunkering everywhere. 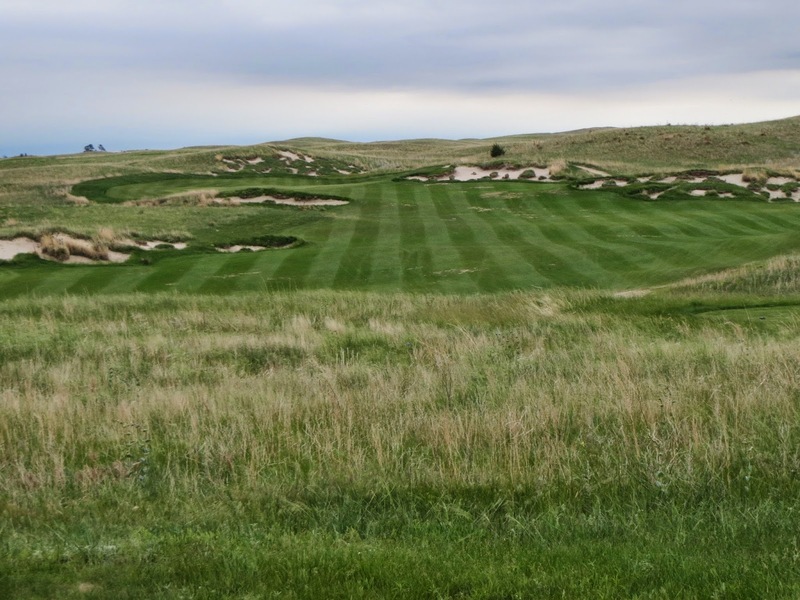 Fourteen was tough the first time we played it: Looking at the cart’s on-board GPS system, we could tell there was 200 or so yards of fescue to clear, but we didn’t know much else. 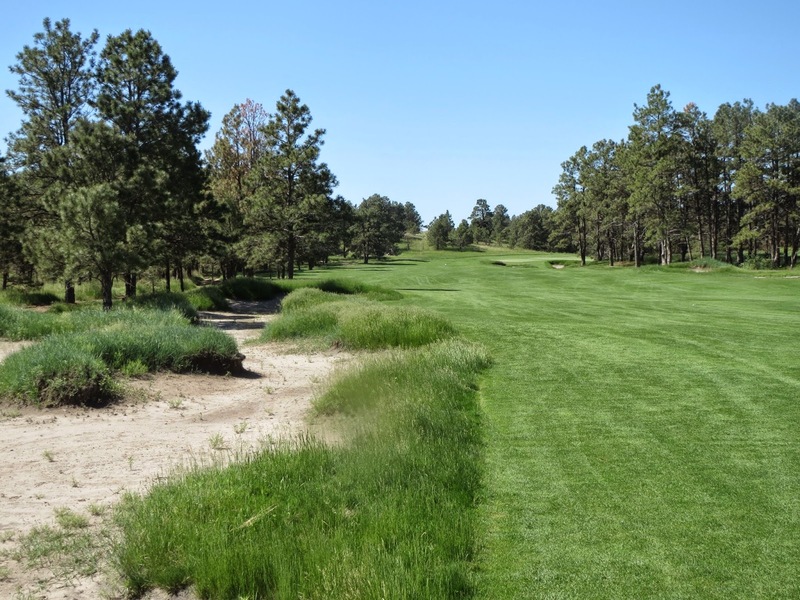 Both courses at The Prairie Club do a good job of off-setting tee boxes so they are rarely straight-ahead – this is a prime example of that on the Pines. 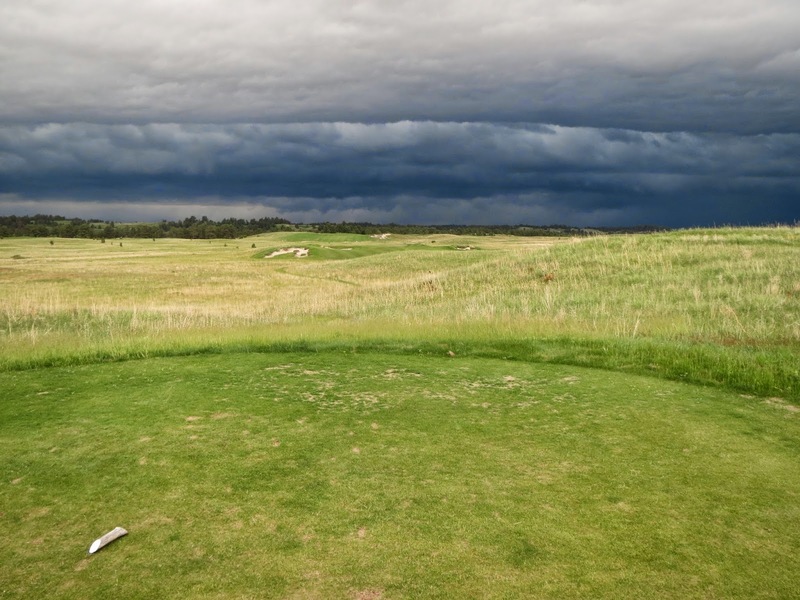 During our second round of the trip on the Pines course, a massive storm was brewing in Valentine – baseball-sized hail took out cars and roofs, and gave us winds that stayed steady in the 35-plus mile per hour range, peaking at gusts well over 60. The wind was directly behind us on this 326-yard uphill par four, so I went for it. Hitting the back-right of the green, I geared up for a 50-foot eagle putt that I put 20 feet past the pin. I then got about half-way there and really started getting nervous. Fortunately, the next one went in. While the weather report was telling us we should expect 80% chance of rain, the course was never touched. We lucked out every day with the weather, making the experience even that much better. A long par five, the fifteenth drives uphill and plays to the right. 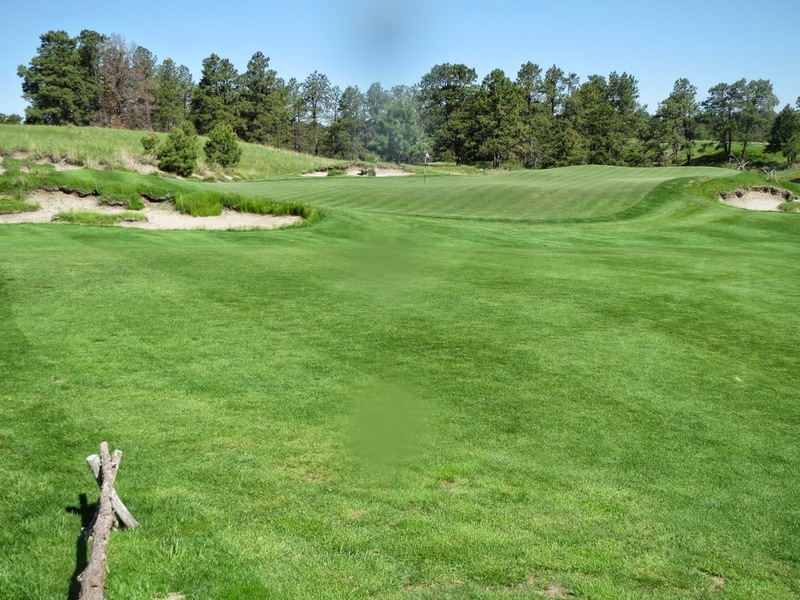 The fairway in the driving area breaks hard toward the bottom-right, leaving no visibility for the second swing to tee shots that collect near the bottom. A memorable par four, the sixteenth starts with a demanding tee shot, and an intimidating approach. 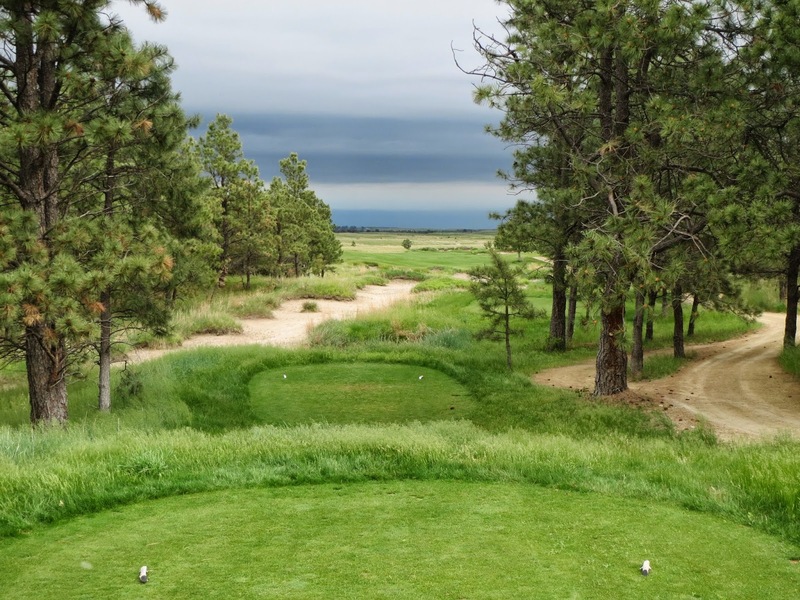 The Snake River Canyon provides a picturesque natural back-drop to the green complex, and begs golfers to play short of the putting surface. Probably my favorite par three on the Pines course, the seventeenth is a mid-range one-shotter that plays to a green that is much bigger than it looks, especially from front to back. If you’re looking for a fantastic finishing hole with choose-your-own-adventure features everywhere, the eighteenth is just the hole for you. A big par five, the eighteenth tips out at 595 yards, and plays to 549 from the whites. 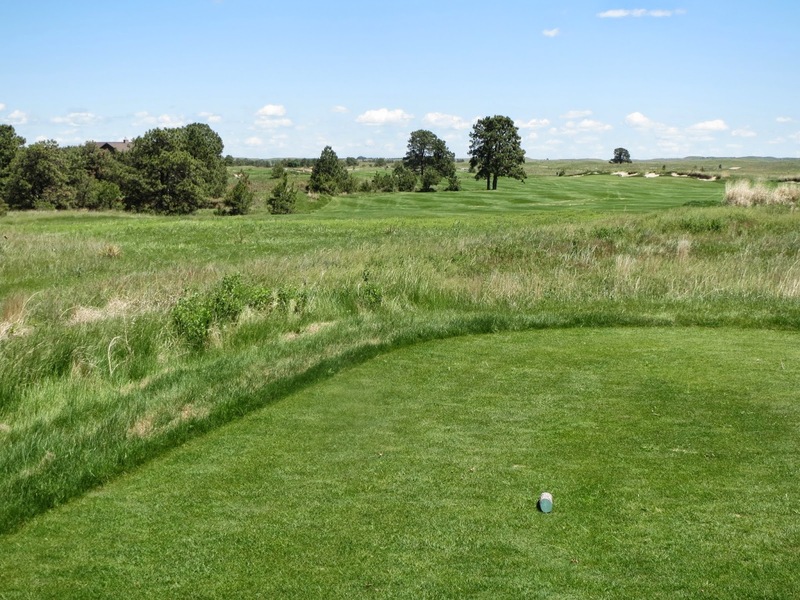 The perfect tee shot for big hitters is to the internal bend of the fairway, leaving a shot of 200 yards over the canyon to a raised green that fronts the clubhouse. 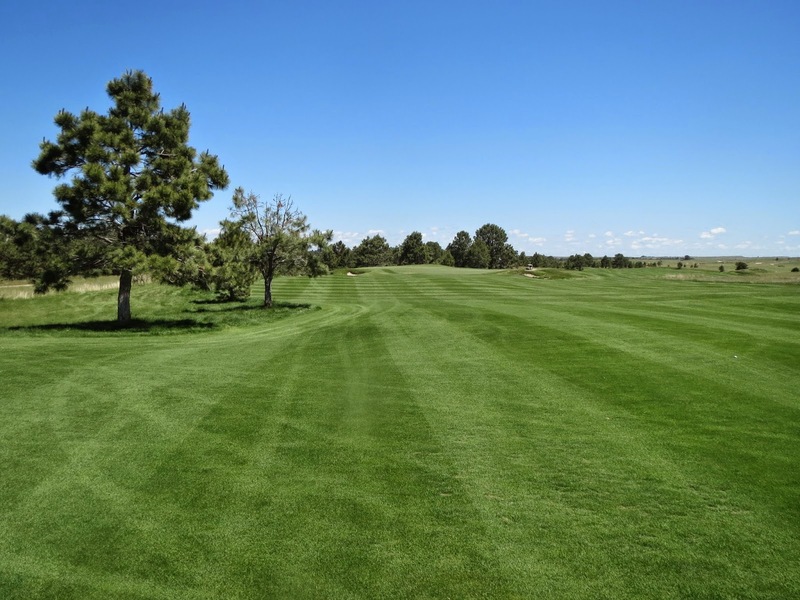 The ideal tee shot for anyone who cannot play a 200-yard approach is to the middle or right side of the fairway, where they can then play the fairway that bends around the right side of the wasteland. 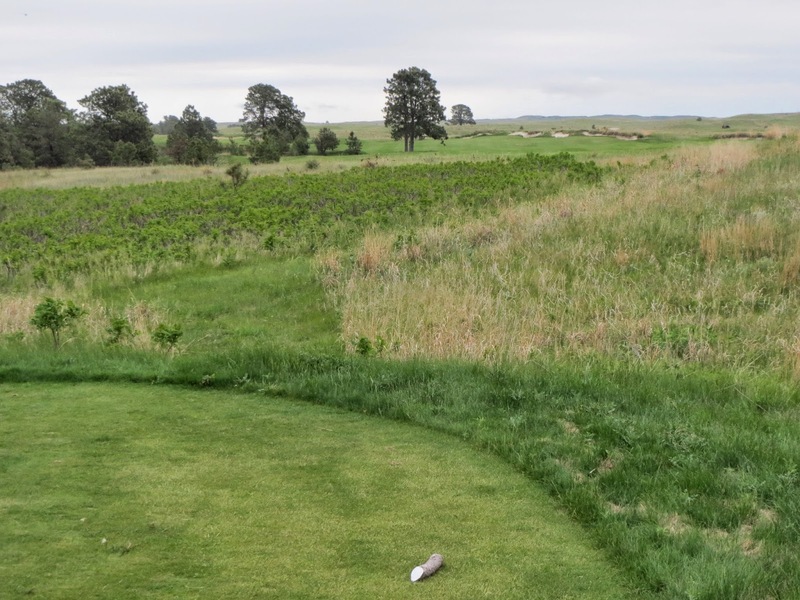 Enjoy the look-back on the eighteenth hole and the Nebraska sand hills with a Moscow Mule on the back patio following your round. 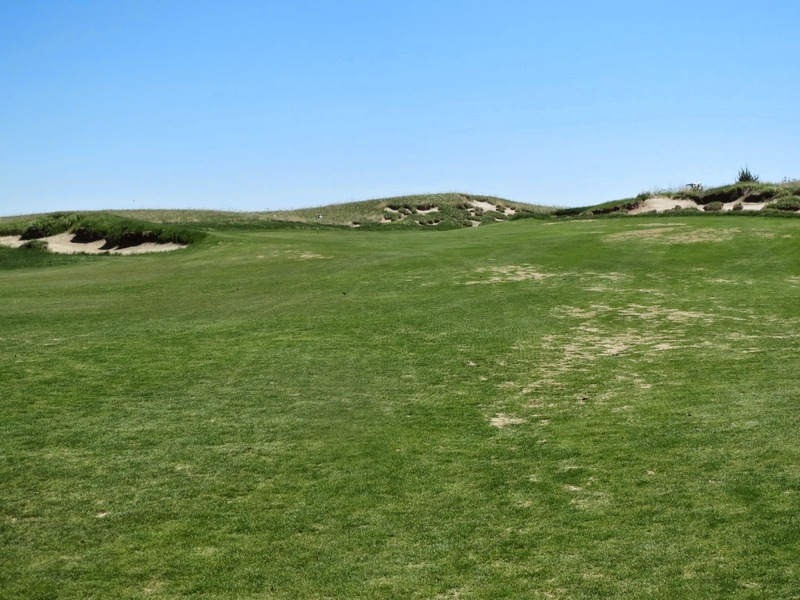 Grab a bite to eat, too – you’ll need the energy for the wild and dramatic golfing experience that is the Dunes course.